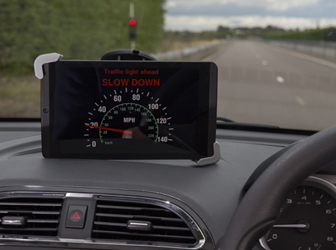 UK Autodrive was an ambitious and highly successful three-year project that trialled the use of connected and self-driving vehicles on the streets of Milton Keynes and Coventry. 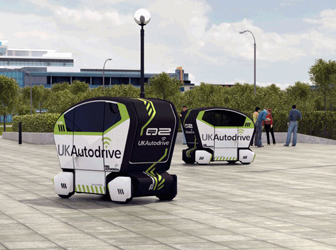 The UK Autodrive project involved trials of connected and autonomous road-based cars, as well as a fleet of pavement-based ‘pod’ vehicles. 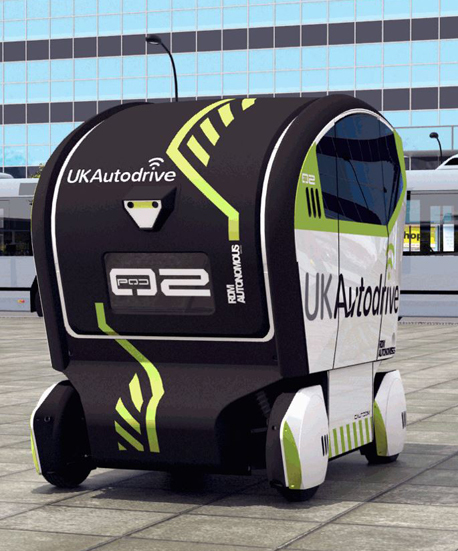 UK Autodrive organised a series of workshops and online surveys to ask the public what they think about self-driving vehicles. 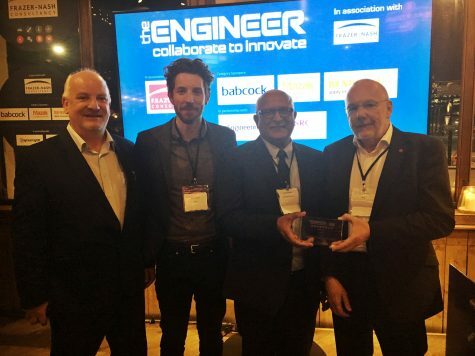 UK Autodrive wins 2018 Collaborate to Innovate award for a project that was innovative, collaborative and likely to have an impact. How fast did the vehicles travel? 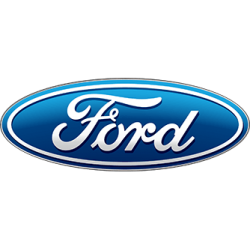 Who will be responsible if a self-driving vehicle is involved in an accident? 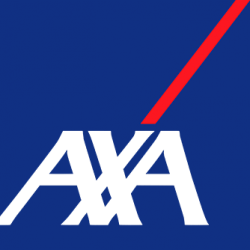 How will the insurance industry deal with autonomous cars? What were the programme’s main aims? What were the vehicles able to do? Were they fully driverless? Were they driving around with no one in them? 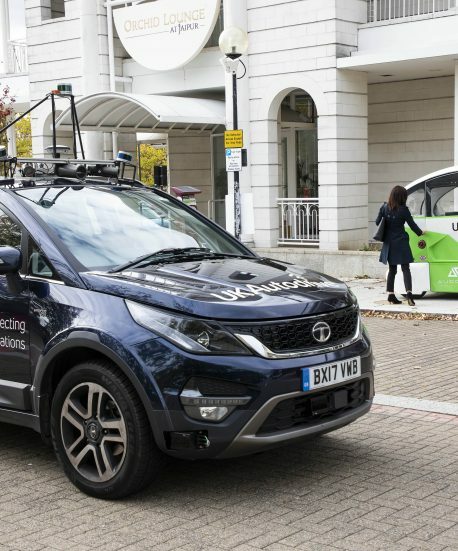 This pioneering project to trial Connected and Autonomous Vehicles (CAV) came to a grand conclusion, with three days of complex demonstrations across two cities – featuring new modes of travel, collaboration between three global car manufacturers, innovative technological features, complex urban environments, and an International CAV Conference. 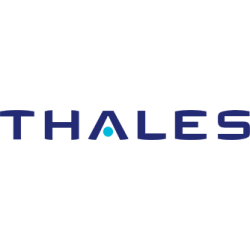 Read the final press release here. 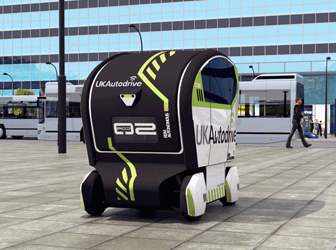 Aurrigo’s self-driving pods have finished 6 months of trials on pavements in Milton Keynes. 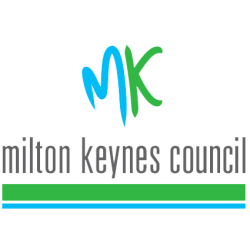 As part of the UK Autodrive project, Milton Keynes Council has been working with Aurrigo to test out a new first/last mile transport solution for local people, shoppers and visitors to Milton Keynes. Watch the video here. 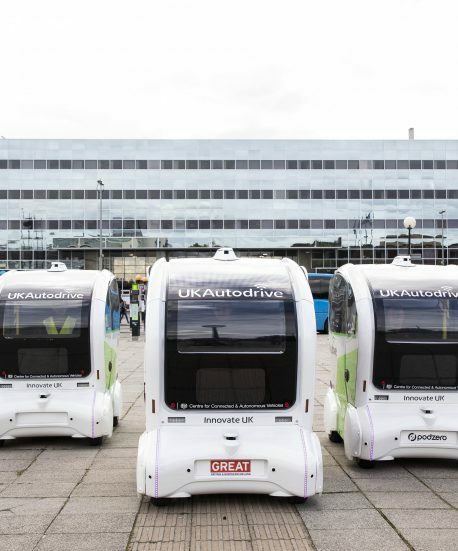 The Aurrigo pods provided a crucial link to the autonomous and connected vehicles in the project’s grand finale, enabling them world’s first demonstration of multi-CAV vehicles completing an end-to-end journey in the UK. 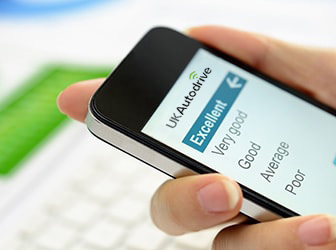 UK Autodrive will culminate in a series of reports, including the final project report, final legal and insurance white papers and the final research papers from the Cities Research programme (examining changes in public attitudes towards the technology, the scalability of self-driving vehicle technology and the possible effect that self-driving vehicles might have on congestion levels). 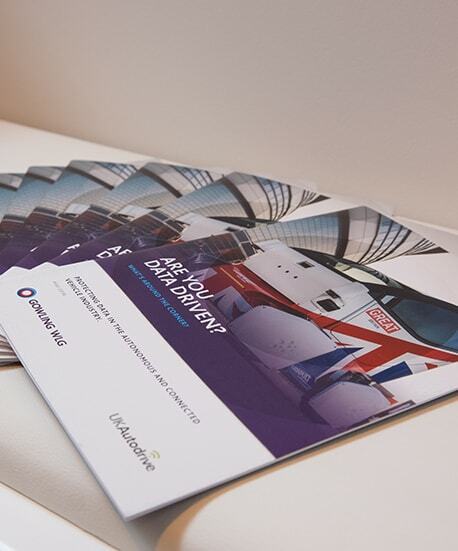 As well as looking back on the learnings of UK Autodrive, these reports are intended to provide guidance and direction for future research and development as connected and autonomous vehicles move closer to the mainstream. 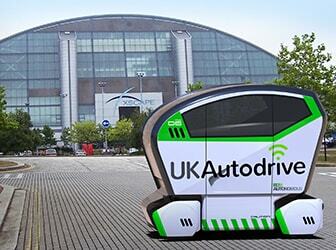 The UK Autodrive trials will culminate in a final set of demonstrations and public engagement activities in Milton Keynes and Coventry during the summer of 2018, using both the road-based cars and pavement-based pods to showcase the potential benefits of connected and self-driving vehicles. Further details will be communicated nearer the time of the final demonstrations. 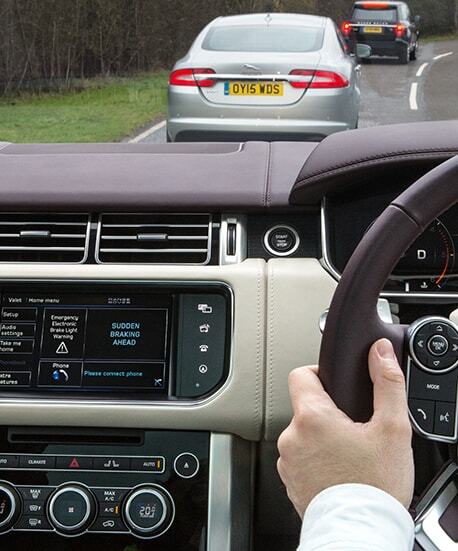 An important aspect of UK Autodrive is a specific work package examining the safety, security and communications requirements for connected and autonomous vehicles. 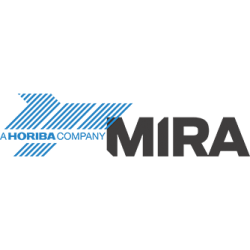 Led by HORIBA-MIRA, this work package will initially focus on supporting these requirements for the UK Autodrive vehicle trials themselves. 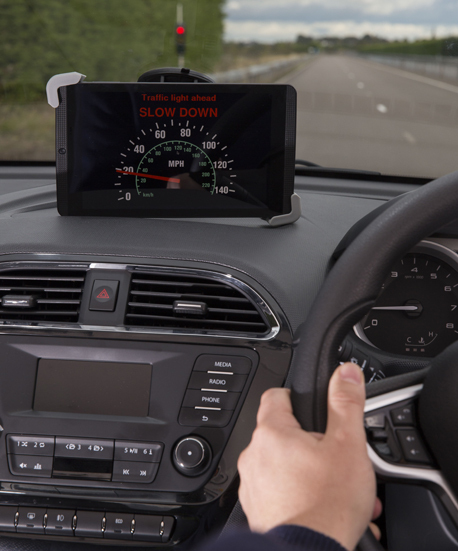 As UK Autodrive comes to the end of its three years, the work package will culminate in a series of guidance papers for managing safety, security and communications in future deployments of automated vehicles. 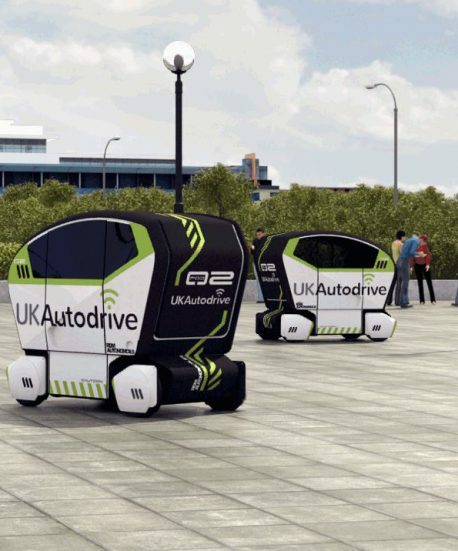 As well as trialling connected and autonomous technology on ‘regular’ road-based cars, UK Autodrive will trial a fleet of electric-powered ‘pod’ vehicles specifically designed for use on pavements and other pedestrianised areas. 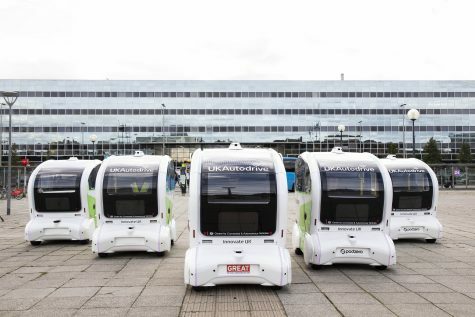 These self-driving pods are intended to offer ‘last mile’ services, for example taking passengers from a train station or ‘Park and Ride’ facility and on to their final destination. 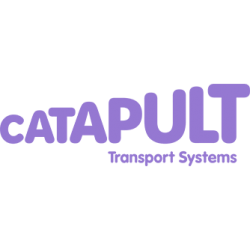 Up to 40 pods will be used to test the feasibility of operating an on-demand form of public transport, with field trials due to get underway by the end of 2017. 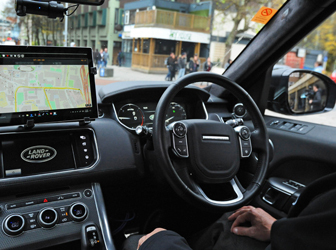 UK Autodrive staged the UK’s first collaborative trials of connected and autonomous vehicles on open city roads when Ford, Jaguar Land Rover and Tata Motors European Technical Centre (TMETC) trialled the technology in the centre of Coventry in November 2017. 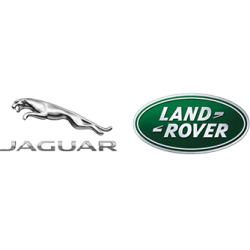 The three project partners successfully trialled a number of connected car features – including Emergency Vehicle Warning (EVW) and In-Vehicle Signage (IVS) alerts, while Jaguar Land Rover and TMETC also used the in-city trials to further develop their separate autonomous vehicle research technologies. 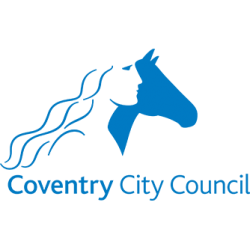 For more on the November 2017 trials in Coventry, please see this story in our news section. 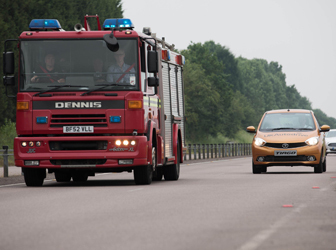 The second (and final) set of private test track trials took place at HORIBA MIRA in June 2017 and again saw connected car technology being collaboratively demonstrated by Ford, Jaguar Land Rover and Tata Motors European Technical Centre (this time including an Emergency Vehicle Warning, Intersection Collision Warning and In-Vehicle Signage feature), along with an Autonomous Urban Drive demonstration by Jaguar Land Rover. For more on the demonstration, please see our news story. 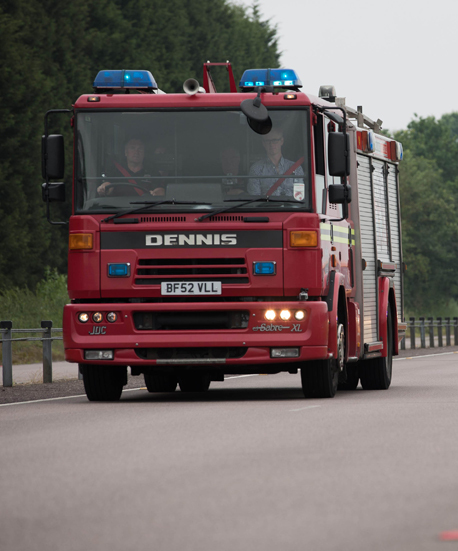 The June demonstration was the last to take place at the proving ground, with the next step of the project involving trials on segregated sections of public roads within Milton Keynes and Coventry scheduled to take place in the autumn of 2017. The first set of collaborative connected car trials took place at the HORIBA MIRA test track in October 2016. 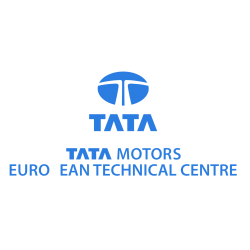 Project partners Ford, Jaguar Land Rover and Tata Motors European Technical Centre (TMETC) successfully trialled and demonstrated two connected car features – the first enabling cars to receive information from traffic lights about when they are next due to change, and the second sending warning signals to the driver when another connected car has braked severely up ahead. 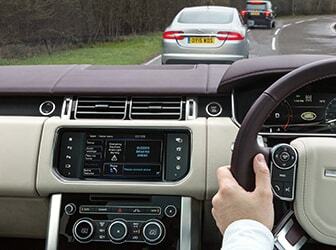 Jaguar Land Rover also used the event to showcase a Range Rover equipped with their Advanced Highway Assist – which is able to overtake automatically and detect for any vehicles within the occupant’s ‘blind spot’. 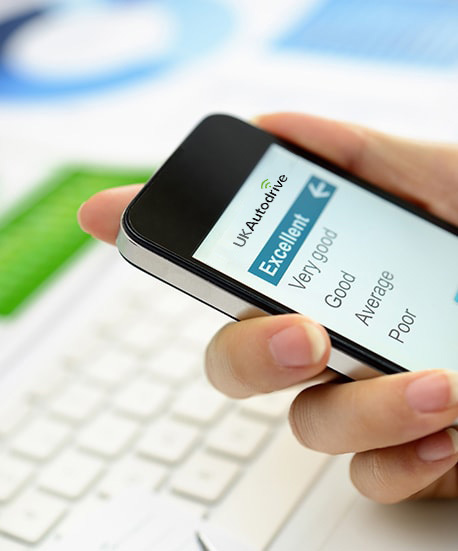 For further information on the first trials, please see our news story. 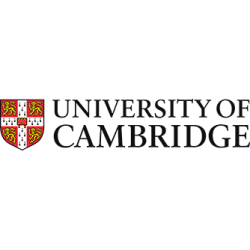 UK Autodrive’s Cities Research programme will examine a number of areas related to the wider roll-out of connected and autonomous vehicles, using research teams from the Universities of Cambridge and Oxford. 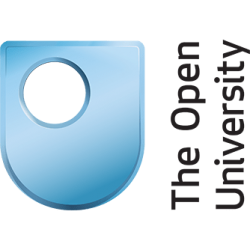 One strand of this research programme will look at public attitudes to self-driving vehicle technology, via a series of national workshops and online global surveys, the first of which was sent out in October 2016. 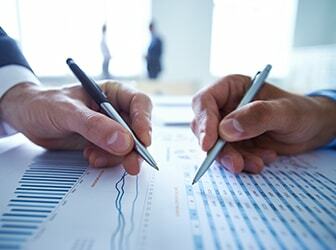 Other areas of study will examine the business case for self-driving ‘pod’ vehicles, how the technology can be scaled up, and how the eventual mass roll-out of autonomous and connected vehicles could affect congestion levels. 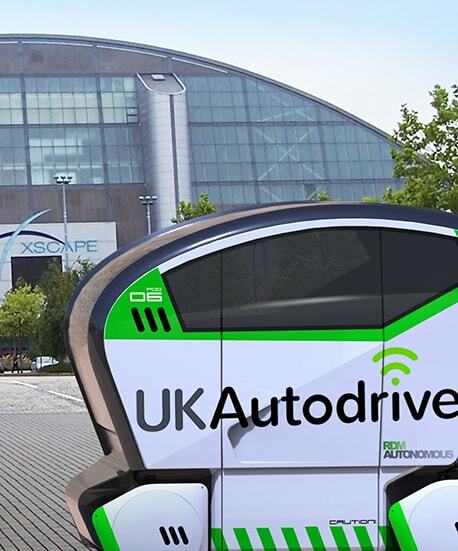 Alongside the physical trials of connected and autonomous vehicles, UK Autodrive will contribute a considerable body of research aimed at supporting the government’s stated ambition of establishing the UK as a global hub for the development of autonomous vehicle technologies. 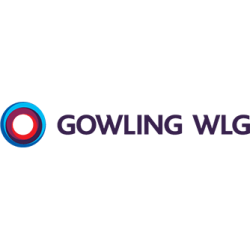 During the course of the three-year programme, consortium members Gowling WLG and AXA will be publishing a series of white papers on the legal- and insurance-related issues affecting the technology. 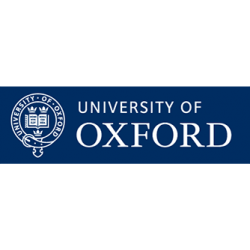 Three papers have been published to date, on data protection (May 2016), ‘moral algorithms’ (December 2016) and the potential threat of cyber-hacking (September 2017). 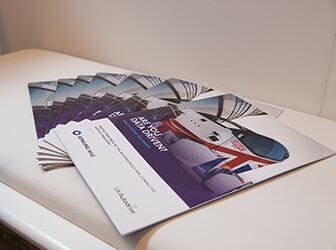 All of the white papers can be downloaded in full from our Downloads section. 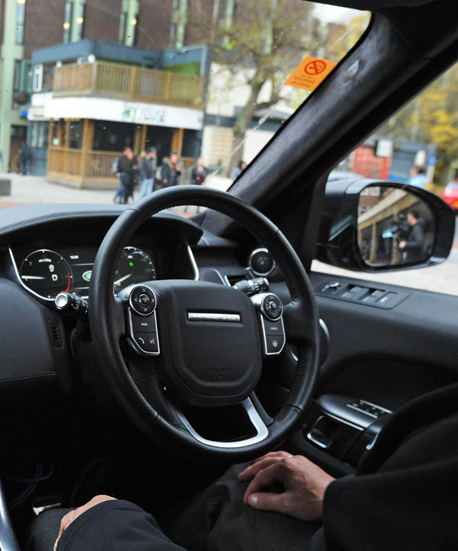 The UK Autodrive project got underway on 1st November, 2015, marking the start of an ambitious three-year trial of connected and autonomous vehicle technology. 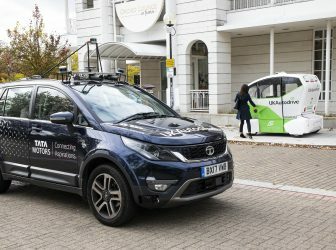 One of three projects to have emerged successfully from the UK government’s ‘Introducing Driverless Cars’ competition, UK Autodrive will carry out on-road trials in Milton Keynes and Coventry, using cars provided by project partners Ford, Jaguar Land Rover and Tata Motors European Technical Centre. The programme will also trial a fleet of lightweight, self-driving ‘pods’ for use on pavements and other pedestrianised areas. 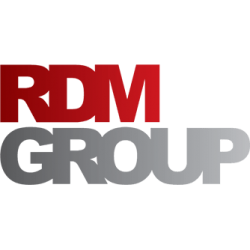 The UK Autodrive consortium was made up of 15 leading organisations, including cutting-edge technology and automotive businesses, forward thinking local authorities and world-class academic institutions. 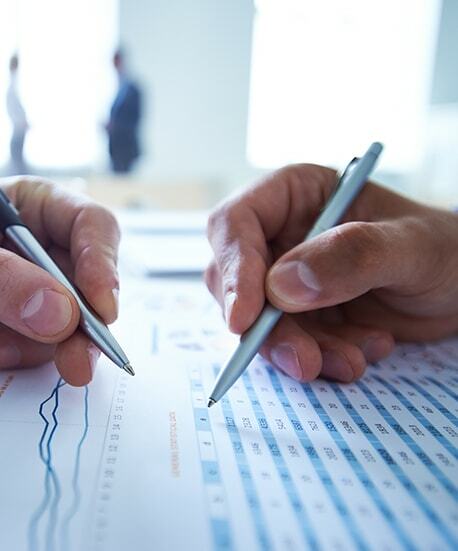 Achieving UK Autodrive’s ambitious aims was only possible as a result of the project members’ wealth of experience and expertise.